The martini was, and still is, more than just a cocktail. 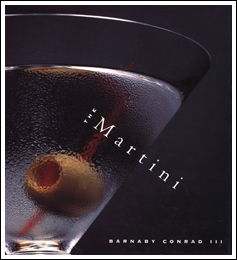 Along with fascinating text, a fabulous array of Martini-inspired art, cartoons, collectibles, ads and film stills, reveal how deeply this classic cocktail permeates every aspect of American culture. Complete with bartending lore, traditional Martini recipes, and literary excerpts, this book is a must for your vintage Art Deco bar or coffee table. 132 pages, HC, 150 full color, B&W illus, 9” X 10".